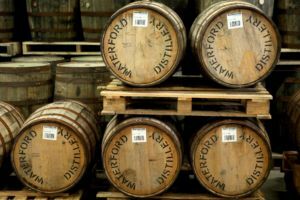 Waterford Distillery is a single malt whiskey distillery located in Waterford City. Here CEO, Mark Reynier provides an update on progress and of his ambition to create the most profound single malt whisky that has ever been seen. What makes Waterford Distillery unique? We utilise leading-edge machinery and equipment that you would normally never find in a distillery. As an example, we have a ‘mash filter’ used primarily in brewing for efficiency purposes but for us it acts as a ‘terroir-extractor’, allowing us to input the individual farm-grown barley that we put into the distillery. We also source our barley from over forty different farms, keeping the barley from each farm separate from field, to farm, to barrel, to bottle. This means we can build up a library of component mini-Waterford Whiskey that we can then play with in creative ways to create the most profound single malt whisky that has ever been seen. What attracted you to the world of distilling? What attracted me was an opportunity to make a difference in an industry that I believed was massively consolidated and industrial; and had lost the very essence of what it was originally all about – which was growing barley locally with individuality of flavour, associated with distilling on a local basis. What were the challenges into converting a state-of-the-art brewery into a distillery? Having to convert and transform a cutting-edge brewery into a working distillery was the foremost challenge that we encountered. Fortunately, our site manager Paul McCusker had previously been employed here and had also worked on dismantling the original site, so it made perfect sense that he could help in the re-equipment of the site. The next step was getting back the guys who used to work here and who knew how all about how the plant and equipment operated. It also meant getting the assistance of Daltons in Kilkenny along with that of Minch Malt, who are based in Athy. Minch Malt were also key in helping provide a group of farmers who together were interested in growing barley in a slightly more complex way, fitting the requirement we needed for distilling in isolation, to provide us with the individuality needed for the distilling process. 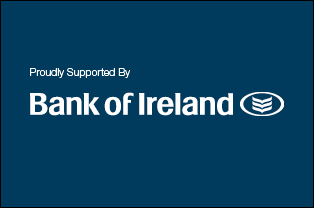 What trends do you see emerging within the whiskey industry in Ireland? I think that it’s all looking very exciting. There are a lot of small distillers fighting away to bring distilleries into existence but that’s only part of the battle. The next part is financing it, whilst at the same time, operating a distillery, to produce a spirit and eventually bring it to market. It’s an expensive business to be involved in. It’s also important to understand that operating a distillery is not some dreamy thing and certainly not as simple – as people may like to think. One of the exciting things here in Ireland is the natural enthusiasm which I love, rather than the cynicism of the Scottish industry. However, I think there’s a lack of direction about what is acceptable and what is not acceptable. So, I think there’s a serious risk, in that vacuum of guidance, relying on self-regulation where there’s going to be confusion and that’s something we need to be very aware of and very careful about. What impact will the trend of terroir have on the market? I don’t know exactly but I’m sure there’ll be other people who would like to follow us and hopefully will be inspired by what we’re doing. I certainly think the big players will try and emulate aspects of terroir, purely in a marketing-only form; without actually changing anything on the production side. That may sound very cynical, but I am afraid that’s how the industry tends to work. So, I think there’ll be a lot of appropriation of terminology and I think the word terroir will be corrupted as a consequence. Can online distribution enhance the ability to market whiskey? In our case, with such a high value product, coupled with lots of information and background to it, I believe that it could be very much be enabled by online distribution. In fact, I think they are made for each other. It’s just a question of how we go about it and the trade-off between those, that would buy a spirit online around the world, versus those that would buy it through the more traditional channels. I’m not sure whether you can have both channels, but we are certainly going to look at doing both. My preference would be for online, as being more cost effective, however there are some logistical issues that would be involved in bringing that to fruition. These are the questions we are considering now, and we have a couple of years to research and think about the best way forward. I have the height of regard for the chairman of our company, Sir John MacTaggart, who’s been an expert advisor to me and a great example of a businessman who does things in a very consistent, professional and straight forward manner. What business advice would you share? I recommend having board meetings and to have directors who aren’t friends; who have skills that you don’t have; make you produce reports and as well as to listen to what they’ve got to say. I think in my early years of business, I thought, ‘well actually I know it all, we know how it’s working’ – it was our biggest mistake of all; and again, it was Sir John MacTaggart who insisted on quarterly board meetings. It’s important to realize that you are reporting to the board about what you’re doing, and they are there to listen and to check that you’re doing – what you’re doing and to advise and help when necessary. I believe it’s the best thing that any business can have, which is a properly structured board to run a business on behalf of the shareholders, making sure you are doing the right job for them. What has been the most important part of your business journey? I suppose learning from your mistakes. In my wine business, I made mistakes. I didn’t have the right advice and I didn’t seek out the skills that I lacked, which is what I should have done. So, I made mistakes and I spent a lot of time, that I wasted. 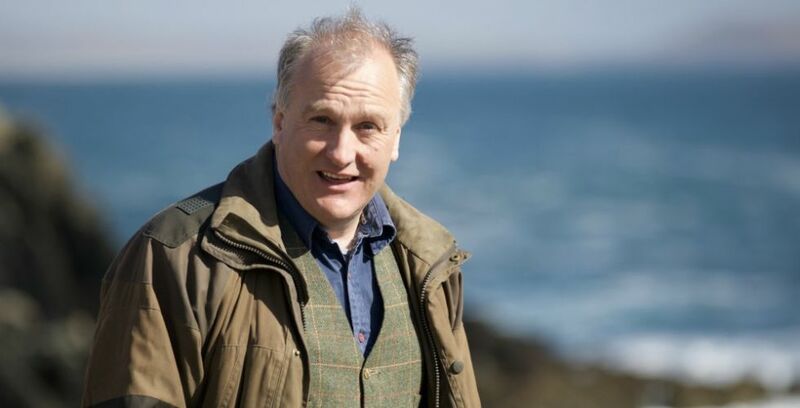 Now after years of business experience at Bruidladdich Distillery and elsewhere – I realise that if you don’t know, you need to seek out and find somebody who does.